I generally steer clear of writing about skincare products on this blog because I am not a beauty therapist but recently I was lucky enough to score a couple of samples of Clarins products from my facialist and might I just say that I have been really impressed with them. The first is the Lotus Face Treatment Oil which smells amazingly good. It is recommended for oily or combination skin and it absorbs really fast. I have combination skin and it is not something I would personally use every night, but I took the sample size away with me and used it every couple of nights and it felt like the perfect pick-me-up for my skin after spending all day in the sun. The blurb on the box describes it as 'specifically formulated to purify, balance and improve combination or oily skin'. I'm not sure that I saw any amazing improvements but as i'm not using it all the time i'm ok with that. It contains rosemary and geranium which act as a natural astringent and lotus extract refines the skin. 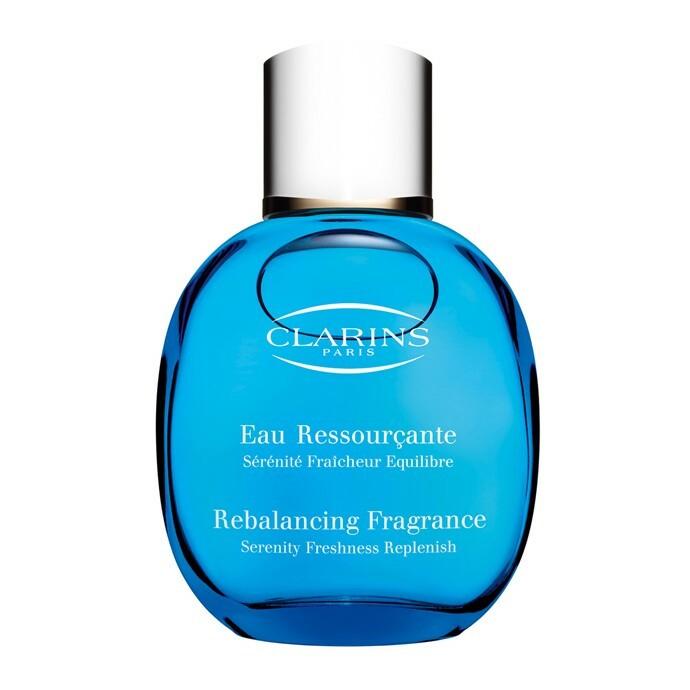 The second is the Clarins Rebalancing Fragrance which 'combines aromatherapeutic essential oils and plant extracts to invigorate your senses and treat your skin'. I would never normally be attracted to this fragrance. It comes in a bright blue bottle that to me, looks like aftershave and packaging plays a very big role in overall appeal to me. It isn't at all like the floral scents I am usually attracted to. But my gosh how I love it. It is a citrus fragrance - the top notes are basil and lemon, the middle note is iris and base notes are benzoin and cedar. It also contains logan which stimulates and sarsaparilla which relaxes and moisturises. It is such a lovely summer scent to apply in the morning. I have no idea if it is actually rebalancing anything but when it smells this good, I don't really care. The range includes a deodorant that I could really be tempted with, along with bath & shower milk, body cream and body milk. You can buy the range here and the fragrance is currently on sale for £24.00.